Why my internet speed is slow, or how to speed ? How to improve the speed of Internet connection? It can be frustrating when you’re trying to get things done online and yet your Internet connection is so slow. To ease a bit off your suffering, we’d like you to know that you are not alone in this predicament. There many other people who share the same problem and are wondering, “Why my Internet is slow?” As such, there are different methods available on how to speed up the Internet connection. Check out the list of tips we’ve compiled below. One of the first things you should do is check your Internet speed. You can easily do this by going to speedtest.net. This tool has two versions, and you can either use the one designed with Adobe Flash or the one for HTML 5. Choose whatever suits your preferences and click the Begin Test button. Turn off your modem by pressing the power buttons. Wait for 30 seconds up to a minute. Plug back the cables and turn on your modem. Check wheteher you have the latest versions of the drivers installed on your PC. On your keyboard, press CTRL+Shift+Esc. 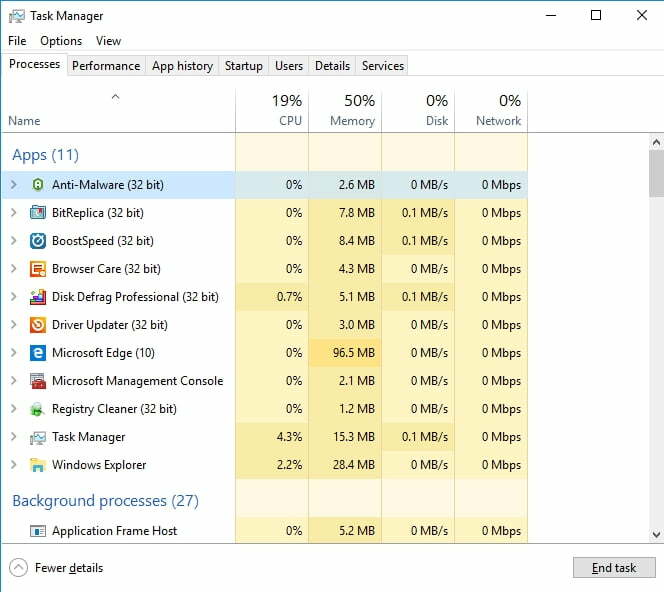 Look for the unnecessary programs that are running in the background. Click the program, then click the End Task button. If you are using a wireless router, you have to ensure that the signal coming from a cordless phone or a wireless camera in your home is not interfering with it. Check if the GHz on your router matches the GHZ on your other wireless devices. If this is the case, then your Internet connection would be slower when the cordless phone is in use. What you can do is unplug the phone base and remove the handset battery. After that, check if your wireless Internet connection has improved. It is also important to note that other household devices can interfere with the signal strength of your wireless connection. These include Bluetooth devices, mobile phones, televisions, microwaves, wireless surveillance systems, and motion sensors, among many others. So, it would be advisable to turn off these electronic devices and check if your Internet connection has improved. On the other hand, if you still need to use those devices, you can try to move the modem and make sure that it is not in the same line of sight as your other electronic devices. Ideally, they should be five to ten feet apart. In some cases, the slow Internet speed has nothing to do with the WiFi router or ISP. You may be experiencing this problem due to unnecessary browser plugins and toolbars, as well as overloaded browsing data. So, it would be best to dispose of these add-ons and data that you do not need. Of course, you can do this manually. However, it would take a while and you might even miss some elements you should remove. As such, we recommended using a one-click solution like Auslogics Browser Care. This tool automatically detects popular browsers installed on your device. Through its user-friendly ‘Central Command’ interface, you can conveniently manage your browsers and disable unnecessary toolbars or add-ons, as well as clear cache and cookies. 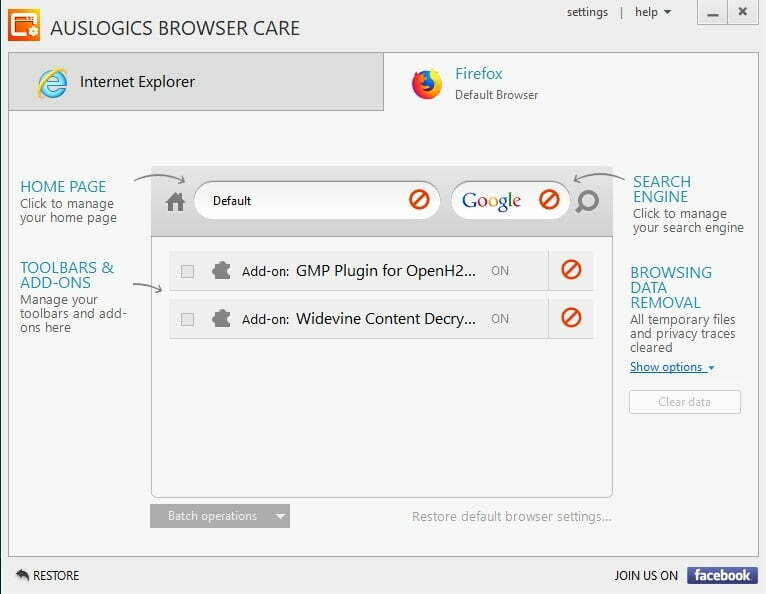 The best part is, Auslogics Browser Care is 100% free! Do you think there are better ways to speed up your Internet connection?